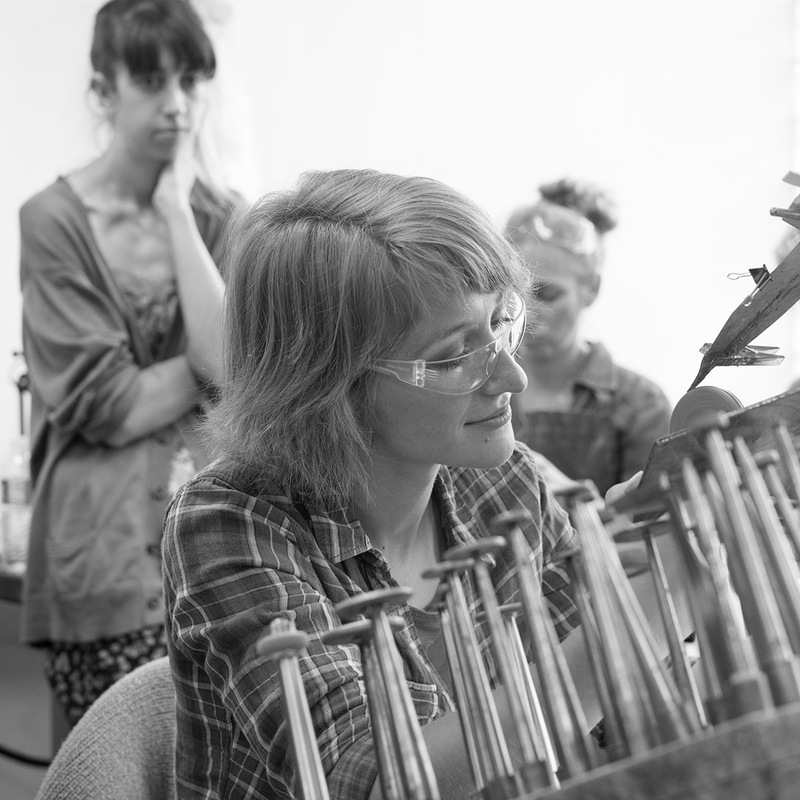 See guest artist Pavlina Čambalová in a live, narrated demonstration in the Amphitheater Hot Shop on July 6 from 6 to 8 pm. Pavlína Čambalová studied gem cutting and engraving at the Secondary School of Applied Arts in Turnov, Czech Republic. In her engraved objects, Čambalová has uses combinations of various materials, including blown glass, optical lenses, and forged steel. Pavlína Čambalová (b. 1986, Frýdlant, Czech Republic) studied gem cutting and engraving at the School of Applied Arts in Turnov, Czech Republic, then Glass Design and Engraving at the Higher Glass School in Nový Bor, Czech Republic. She worked as an engraver at Lobmeyr of Vienna since 2008, turning freelance in 2016. She works in her own studio in Zelezny Brod, Czech Republic.